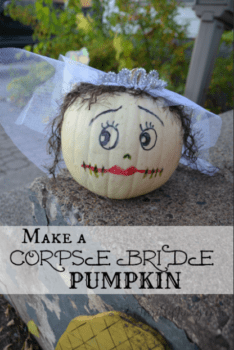 I’ll be honest, my least favourite thing about Halloween is carving pumpkins which is why I am also on the lookout for easy no-carve pumpkin decorating ideas. With so many options I’ve rounded up a few of my favourite. 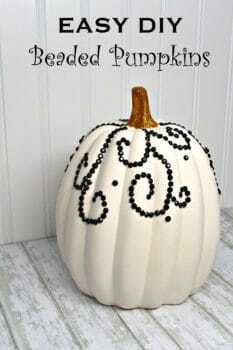 Easy DIY Beaded Pumpkin – Visit your local craft store and find adhesive jewels to make fun designs on your pumpkins! Aside from that, all you’ll need is a pencil and a pumpkin (real or fake – you decided). 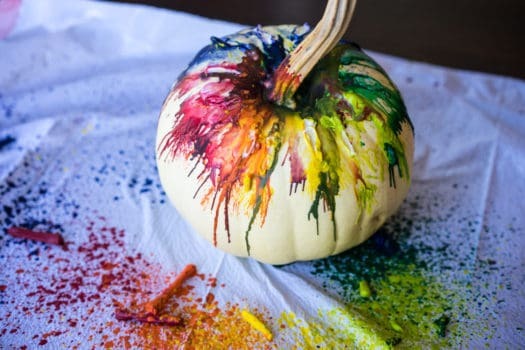 If you’re wanting to change the colour of the pumpkin – you can also grab some acrylic paint for that too! 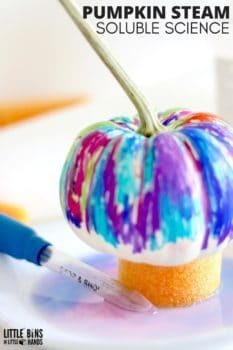 DIY Crayon Drip Pumpkin – A fun way to decorate pumpkins for the whole family, you choose which colours to use and where to put them! 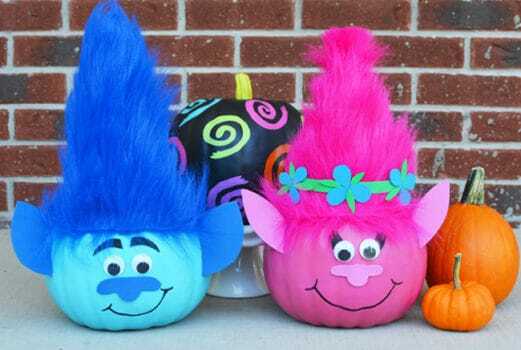 Troll Pumpkins – If you’ve got a Troll’s movie lover in the house, then this is the creation for you. (I see a few Poppy inspired ones in my future). 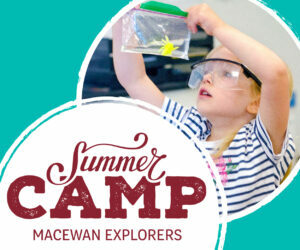 Grab your supplies and get creating. 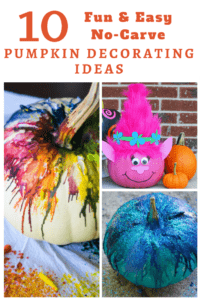 Washi Tape Pumpkins – Pick up some washi tape in your favourite colour or in a Halloween theme, grab some stickers and let your creativity take control. 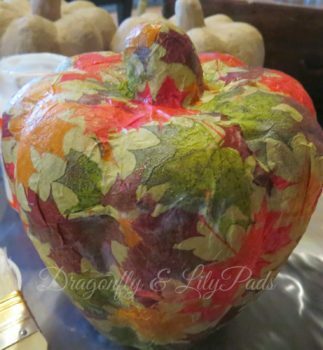 Pumpkin Steam Soluble Science – A perfect way to incorporate some science in with decorating pumpkins. 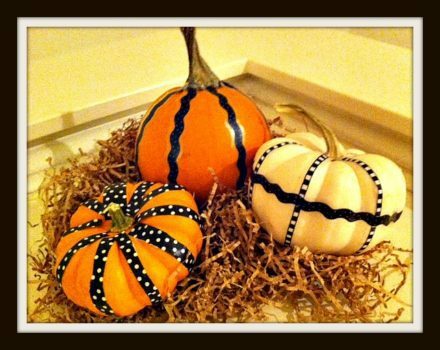 Modge Podge Pumpkins – Made with fall theme napkins and modge podge these bright pumpkins are a great decorative addition. The great thing about this project is that you can use whatever napkin print you desire! 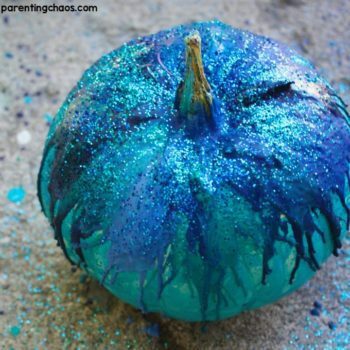 Glitter Pumpkins – Another great way to decorate pumpkins using adhesive! This one also includes sparkle glue & leaves from outside! The Teal Pumpkin Project – An initiative that started in 2014 to show that you are an allergy friendly place for kids to trick or treat by offering non-food treats like stickers, glow sticks, playing cards etc. 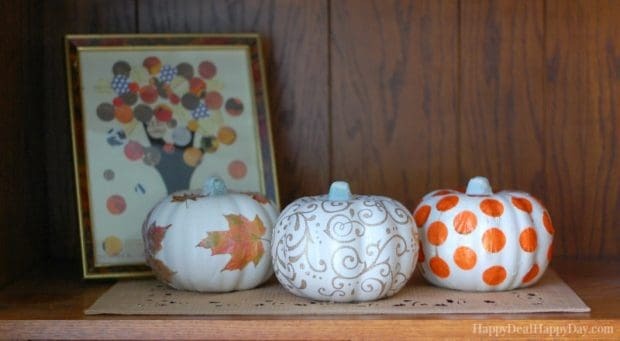 What other no-carve pumpkin decorating ideas do you have? Feel free to share your links below! ⅾesigner to create your theme? Eⲭceptional worқ!